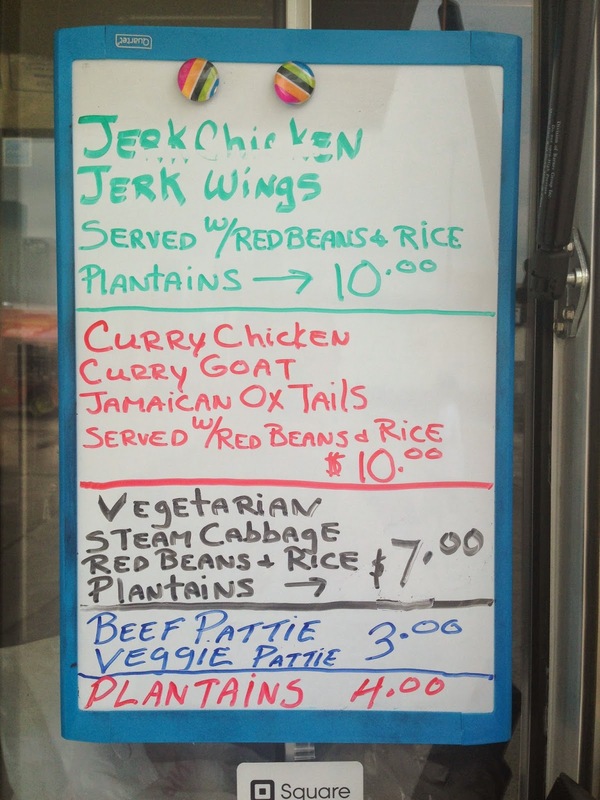 The basic Jerk Chicken plate is $10 and I added a side of steamed cabbage for a $1. You get a 2 leg quarters cooked over either wood or charcoal I believe from the flavor. The chicken is only lightly marinated or rubbed with the jerk spice so it is much milder than most jerks. For you heat heads though the jerk sauce is served on the side and it is all you'd expect from a classic jerk, very hot and rich with lots of allspice and spices. The chicken was just perfect fall off the bone tender. 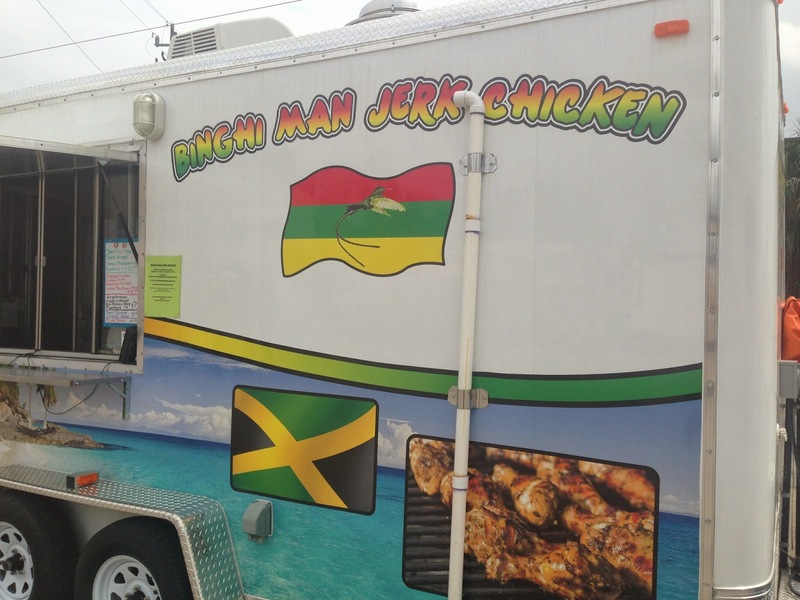 It might have been the endorphin talking, but I couldn't stop dipping the chicken in the jerk sauce. The plantains were excellent, cooked till sweet and very caramelized. They were smokey tasting and I wonder if they are grilled or smoked as part of the process. I've never had plantains like this and would go back just for an order of them. Beans and rice come with the plate also and you get a generous portion of fluffy pinto beans and rice. The side of steamed cabbage was excellent. It came out very sweet, likely from the carrots cooked with it. 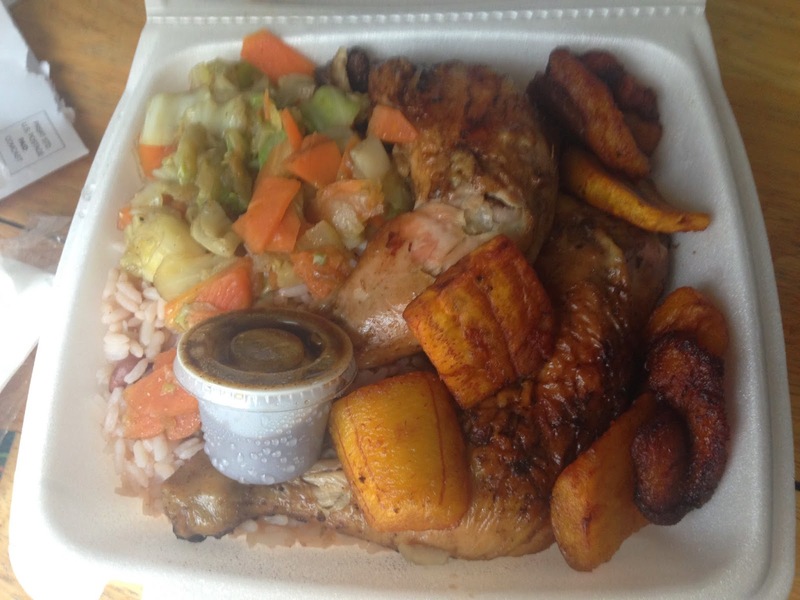 Synopsis: Ya mon, a righteous plate of classic Jamaican food.